In an urban residential neighborhood, the house layout wraps itself around the warmth of a wood clad courtyard. The concept for this modern home was to rethink what a single family house in an urban setting could be. Rather than a typical front yard and back yard, we looked at wrapping the house around the edges of the site, carving out a courtyard garden that all of the interior spaces look out into. 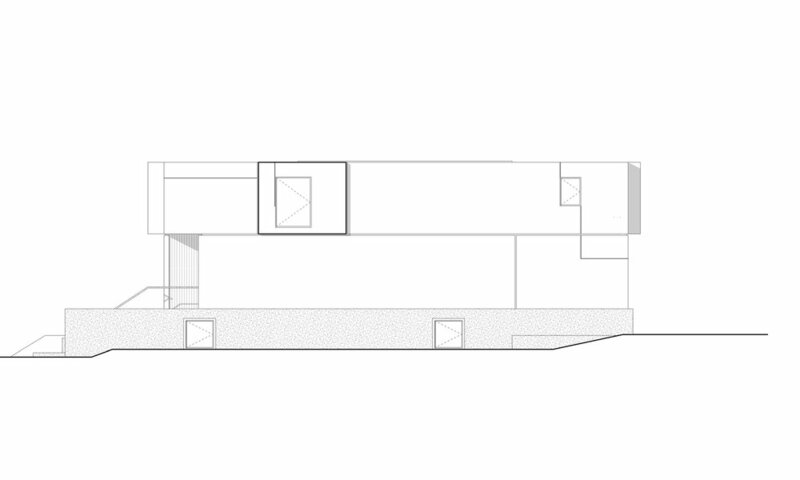 By keeping each wing of the house relatively narrow, we could bring natural light into each side of the primary spaces. The courtyard also acts as an outdoor room, making the house stretch outside, and providing a place to entertain guests, hang out as a family, or simply relax outdoors. Other features of the house include a double car garage semi submerged below grade. 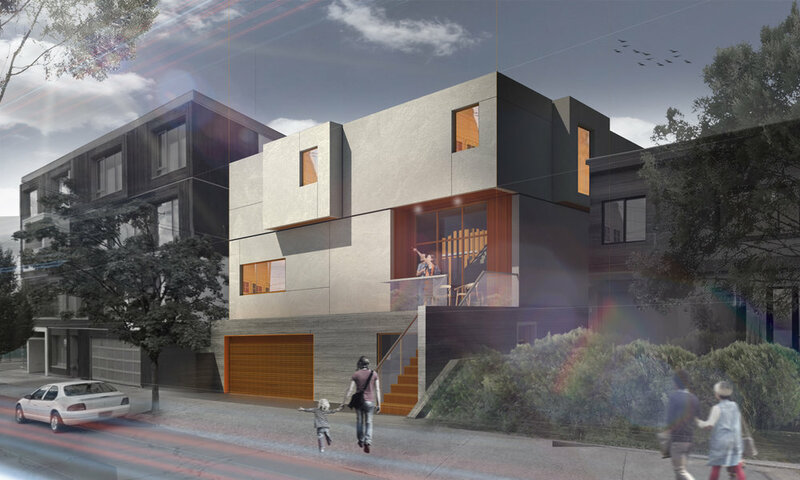 There is also a basement level Accessory Dwelling Unit integrated into the project, allowing for rental income or a guest suite for visiting family and friends. The main house includes five bedrooms, 3.5 bathrooms, laundry room, formal living room (or office), family room, dining room and kitchen. Each of the areas on the ground floor open onto the courtyard while the master suite does as well, with a balony overlooking the outdoor space. We also integrated a stairway to the green roof where an additional terrace could be installed. Materials include warm natural wood cladding the courtyard walls, the front entry, and framing all of the windows, doors, and other areas where the volume were carved out. To ground the project, we wanted the podium to feel heavier and darker. To achieve this we specified tinted board form concrete in a horizontal orientation. 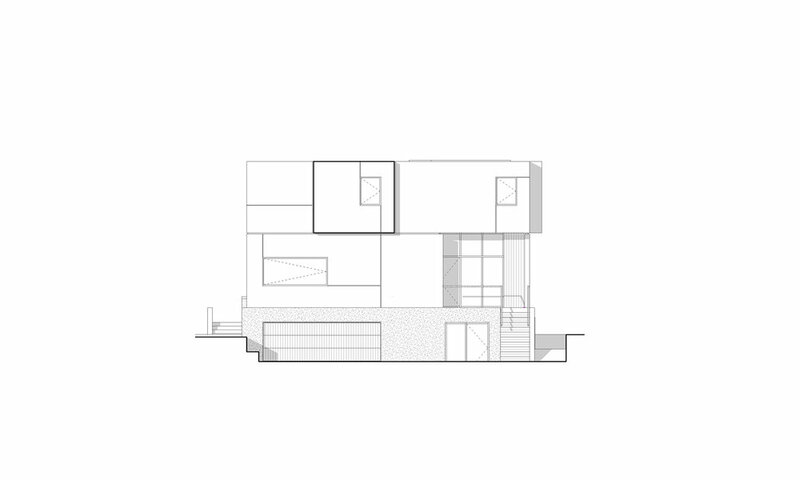 For the main house, we conceived of each main programmatic piece as being a separate box. We then stacked these boxes and arranged them around the courtyard - pushing and pulling them as needed to respond to function, views, light access, and to create a dynamic form for the house. These boxes are wrapped in thermocromex, a stucco-like material, giving the project a light off-white tone with some textural play on the surface. Finally, we carved in reveal joints on the facade to break down the scale, and reinforce the concept of the shifted boxes.